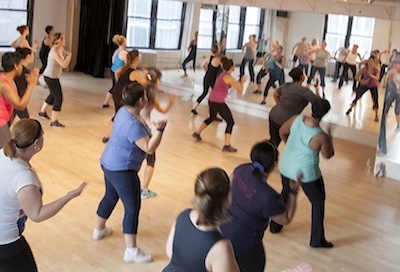 One of the highlights of each First Step session is the trip to Zumba class, generously provided by Misty Clark and M Dance & Fitness. Misty and her crew tailor the hour-long class to meet the fitness needs of each student, regardless of age or abilities. Outings like these are not only a lot of fun, but they help us teach the women that the key to success involves taking care of themselves both physically and mentally. The time together is also a great chance for the women to bond and really build that social support that is so critical to getting through the program. We are so grateful to Misty and M Dance & Fitness and all of our workshop partners who help us give women a variety of life skill lessons that often can’t be taught in the classroom.